Cab aggregator Uber increased the minimum amount of cash in Paytm wallets for booking cabs to Rs 350 and it seems this has caught cab users unaware. BENGALURU: Few days ago, cab aggregator Uber increased the minimum amount of cash in Paytm wallets for booking cabs to Rs 350 and it seems this has caught cab users unaware. The earlier minimum on the wallet was Rs 200 and this sudden unannounced change caused quite the inconvenience. 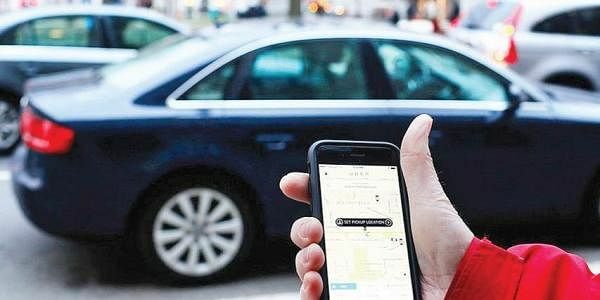 A spokesperson from Uber confirmed that the changes had been made on February 6. “I had Rs 400 in my wallet and had gone to meet a friend in Nagavara. However, when I tried to book a return trip I was surprised to find that I needed to have Rs 350 as the minimum limit. I did not have enough funds and my friend booked my return trip,” says an Uber user. There was also confusion among customers with a few claiming that the minimum limit had been increased before. One such user claims that the minimum limit had also been increased to as high as Rs 600 before being brought down to Rs 200 again. Some others claim that there was no such change. When CE asked Uber spokesperson this, there was, however, no reply. Meanwhile, some users have found a way (a loophole) around the Rs 350 limit using their credit and debit cards. Savithri Radhakrishnan, 23, a software professional, says that the new measure has not caused her any inconveniences as she manages things using her debit and credit cards. There are no minimum limits using these options.